Offering outstanding facilities such as , Gymnasium, Solarium, Sauna, 2 restaurants, bar, fully air-conditioned throughout, 11 conference rooms, 150 rooms including 40 executive rooms, non-smoking rooms, 24-hour room-service etc. 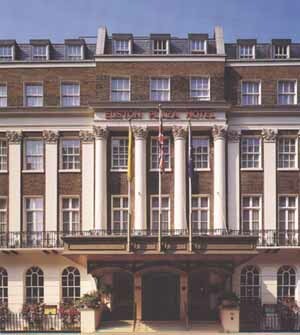 Located in close vicinity of the British Museum, The City (London's Financial district, Oxford Street and Covent Garden. is wonderfully located in literary Bloomsbury, right in the heart of London on the border between the West-End and the City. Situated just minutes from the hustle and bustle of the West End, 'Theatreland' and Oxford Street shopping yet in the immediate home place of The British Museum, British Library with "Peter Pan" and Charles Dickens House (across the Road). has since opening in 1991 has proved to be one of the most popular modern four star hotels in Central London, providing high levels of standard, service and facilities for the more demanding traveller. 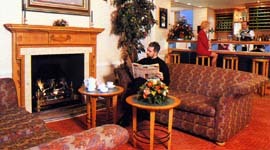 Facilities include complimentary health and leisure deck, including saunas, fully air-conditioned throughout, Swedish themed A'la'Carte restaurant and breakfast room, beautiful 'Atrium' Conservatory restaurant with summer patio,150 bedrooms of high quality including en-suite,tea & Coffee making facilities and Modem and Internet hook-up points in all rooms. Why not try our Health and Leisure Area? There you will find a solarium, numerous cardiovascular muscle-toning equipment, as well as male and female saunas. meeting get-together in a cozy ambience. Here light meals are served throughout the day. 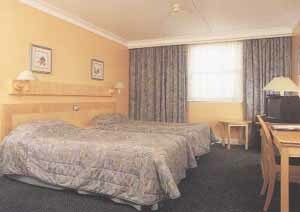 Rest assured, no matter where you dine you will discover that the Euston Plaza Hotel caters for your needs.